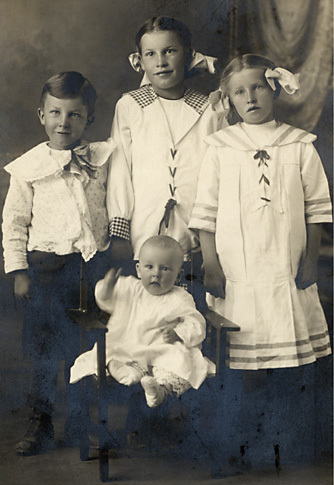 James William Lovell, son of Joseph Hyrum and Leah Ellen Radford Lovell, was born 11 November 1879 at Oak City, Millard, Utah and died 31 May 1934 at Ririe, Idaho. 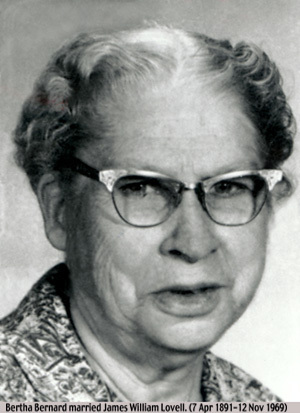 Ida Harriet Freeman was born 31 December 1888 in Salt Lake City, Utah and died 3 April 1919 at Shelton, Idaho. 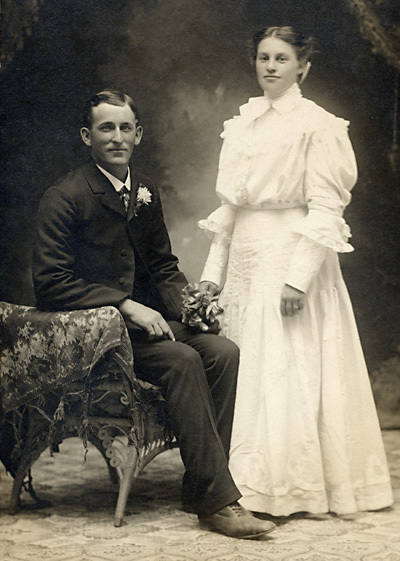 There were married 7 November 1906. Five children were born to this marriage. On 9 March 1921 James William Lovell married Bertha Bernard who was born 7 April 1898 and died 12 November 1969.